I worked on a piece for Halal meat company, Midamar, a couple years ago for Illume Magazine. Midamar had its day in court, they plead not guilty to 92 charges the Federal prosecutors brought against them. When I wrote the piece, there had been a raid, but no charges were presented, nor was it clear what was going on. There was just assumptions, speculations, and rumors. The only facts that existed were that there was “a joint federal operation, agents seized documents, books, records and computer files, freezing $454,000 of assets.” According to todays AP Report, the owners plead not guilty to counts that “they conspired to make and use false statements and documents, sell misbranded meat and commit mail and wire fraud.” I can’t speak to any of the charges except the one regarding the selling of “misbranded meat.” If they were selling dog meat under the label of beef, then yes charge away. However, if its a matter of whether the meat was Hallal or not Hallal. I think the government has a weak case, as I noted in my article, criminal investigations of mislabeled meat products are rare. 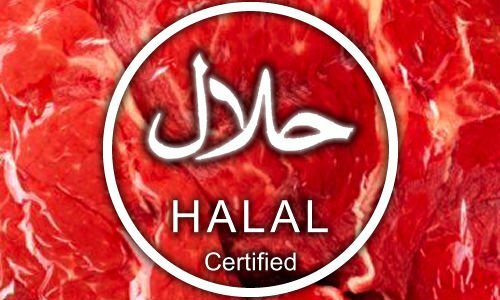 There is an ongoing debate on what constitutes halal slaughtering, and no consensus has developed to form a council like that found within the American Jewish community. Attorney Michael Lahammer, who represents all of the Defendants now, says the company believes “the government has no right to regulate what is a religious matter.” That was the major line of concern that I came across in 2012 while researching for the article. “[T]he fact is the government has zero business in defining what is halal and not, that is up to the community. We do that,” says Shakeel Syed, the executive director of Shura Council, which is an umbrella organization representing Islamic Centers and organizations in Southern California. In fact, when it comes to regulating religious slaughtering, similar Kosher laws exist for Jewish meat industry. It will be interesting watching the case move forward, however, it seems to me that Attorney for Midamar will not be pursuing the other interesting tie in to the case involving the Joint Terrorism Task Force, and how all Federal agencies, including the FDA are snared into terrorism investigations, even if they might not exist. Also in 2012, I ran across the House and Senate “Kosher and Halal Meals Act of 2012,” introduced by Senator Gilabrand in the Senate and Congressman Crowley in the House of Representatives. The bill obviously is labeled “Kosher and Halal” which clearly means the Bill deals with the Muslim practice of eating food that fits within the Sunnah. This is a commendable action taken by both the Senator and the Congressman from New York state. The legislation is designed to address a shortcoming in the way the USDA purchases some kosher (and halal) foods under TEFAP (The Emergency Food Assistance Program) but does not track or label them to ensure those meals end up in kosher-specific (halal-specific) pantries and communities. Senator Gillibrand and Congressman Crowley authored legislation that would boost kosher (halal) meals for TEFAP and that would establish a system to monitor and account for the dietary restrictions of food-insecure individuals who can only eat kosher (halal) food due to their religious beliefs. The bill would require the USDA to target and purchase cost-effective kosher (halal) food from certified manufacturers as well as monitor and label the meals as such for local kosher (halal) food banks. I visited the respective websites of the elected officials looking for information. This is where language, messaging and reading between the lines really takes on a new meaning when its translated into American Muslim political power. When reading the press releases from Gillibrand and Crowley you will immediately notice that in the text of the release there is absolutely no mention of “Halal” (and they both issued a joint release so the links are the same just different websites). In fact if you were to ONLY read the press release and never read the actual text of the bills introduced to Congress, you would get the sense that this bill only delt with Kosher food, and thereby only the Jewish community. I think Senator Gillibrand is trying much harder to associate with the Jewish electorate and for the most part Congressman Crowley crafted something that was significantly broader and encompassing the diversity of the community and the need to address the challenge of food shortage for that community. Both press releases, however, focus on just the Jewish community needs. To do so the releases rely on data embedded in the end of the release like “400,000 poor or near-poor Jewish households citywide are struggling to get by and approximately 52,000 Jewish children are living in poverty” which is grounded to experts, the MET Council and also right in the beginning of the release “With an estimated 244,000 Jewish households in New York City living in poverty.” This gives the challenge a form and a metric by which the reader can connect with and feel that “yes, this is a need we should address. Now imagine either elected official focusing a release that was “Muslim-centric”. Incredibly lopsided release would indicate a bias, it would infuriate the Pamela Gellers of the world. Yet, I would argue that Muslims probably don’t feel anywhere near that attitude. In fact, most feel that just by having a bill indicating the “Halal” is important, and a greater majority actually have no clue and could care less. But if you observe this behavior from a political activist perspective this view is indicative of the complete lack of political where with all in the community. While we touted the Muslim vote in past election cycles, all our National Muslim organizations patted themselves on their backs about it, however, none of them could honestly believe that we could translate that into political power. In fact, we are told that there are two strategies that can be followed- being at the table, or being outsiders constantly biting at the bits. When it comes to the political equations, Muslims are an inconsequential variable and this bill is clearly indicative of that aspect. We are either an afterthought, or a marginal factor, but never a cause for direct concern for engagement. And I think the analysis of attacks on elected officials by anti-Muslim elements is a superficial explanation. The problem is broader then just the institutions or the attacks by anti-Muslim elements in society. Muslims don’t have organizations tracking and producing information (data), nor is there any substance in the policy work being done by Muslim organizations. We don’t value data or utilize it. This also means we lack, significantly, the necessary knowledge to benefit from and to utilize the government systems; because the government requires very specific reporting, management practices and infrastructure our organizations simply aren’t mature enough to have. This also means that the government is incapable of purchasing, and therefore, acquiring large quantities of Halal labeled foods because the infrastructure to provide a government contract simply does not exist in the community, and those companies that could potentially supply it, are being indicted (Midamar represented close to 60% of the Hallal food market domestically). That we lack the political wherewith all is not a fault of our own, nor is a lack of interest and it definitely does not mean there hasn’t been some effort put toward this. This should not be a surprise to anyone, practically stating the obvious. The reality is that as a community we lack key institutional maturity to be politically relevant, either being at the table or playing the outsider. You will be happy to know that in April of 2014 the bill was passed and enacted and being implemented without much hoopla in the Muslim community or by its institutions, however, Creeping Sharia did manage to catch it as an amendment within the Farm Bill.